Born and raised in a tiny town in northwestern Connecticut, Jim Lawson always knew that he wanted to become an artist and that he had the hopeful, yet somewhat unrealistic goal for himself to make a living drawing pictures. After he graduated art school, a fortunate series of events came together that allowed him to be introduced to the creators of the Teenage Mutant Ninja Turtles- Kevin Eastman and Peter Laird. That was the beginning of Jim’s career in comics, which now has spanned nearly 35 incredible years- 25 of them with Mirage Studios as a writer/artist on the original black and white Turtle comic. 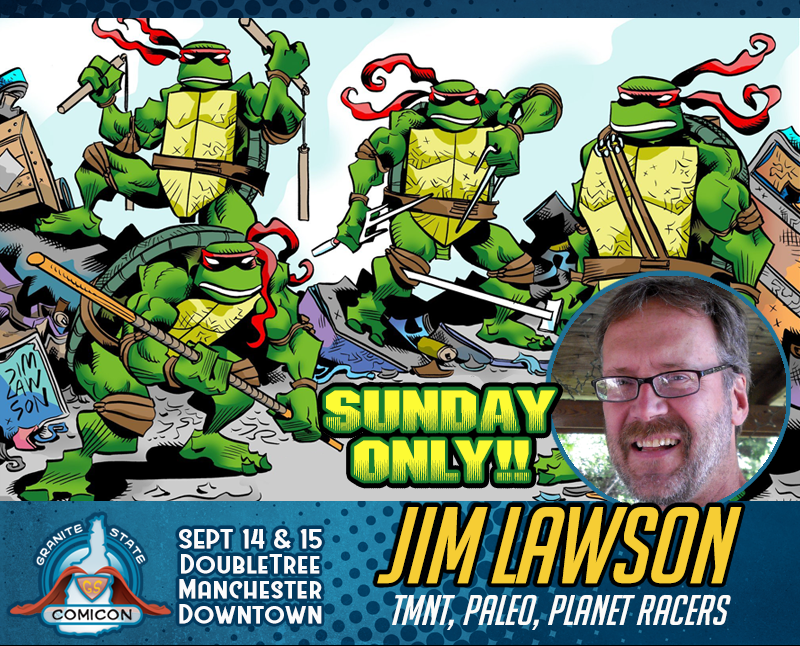 Since the end of his association with the TMNTs, Jim has pursued a solo freelance career. 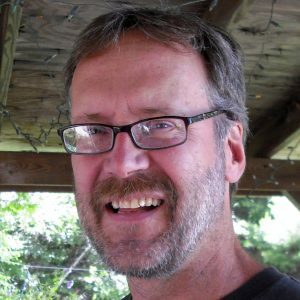 His many self-published works include among others, Paleo: Tales of the Late Cretaceous, A Walk Through Dinosaurland, Dragonfly, Dinosaur Head Cat and Jim Lawson’s Dinosaurs Coloring Book.